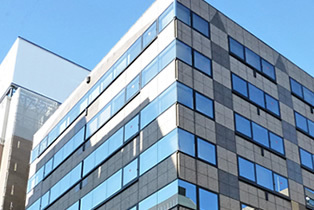 Company Outline Tokyo Office ｜API Co., Ltd.
Toei Subway Shinjuku Line: 3-minute walk from the A1 exit of Bakuroyokoyama station. JR Sobu Line Rapid service: 3-minute walk from No.1 exit of Bakurocho station. Tokyo Metro Hibiya Line: 5-minute walk from No.1 exit of Kodemmacho station. Toei Subway Asakusa Line: 3-minute walk from the A1 exit via underground walkway from Higashi-nihombashi station. Copyright 2010 API Co., Ltd. All rights reserved.